Ba réabhlóidí Éireannach í Maud Gonne MacBride (Gaeilge: Maud Nic Ghoinn, Bean Mhic Giolla Bhríde, 21 Nollaig 1866 – 27 Aibreán 1953) a rugadh i Sasana, feimineach agus ban-aisteoir, ach clú is mó uirthi de bharr an chaidrimh shuaite a bhí aici le William Butler Yeats. B’Angla-Éireannaigh a muintir agus is mar sin a tógadh í ach chuaigh cruatan na ndíshealbhaithe i rith Cogadh na Talún go mór i bhfeidhm uirthi agus thaobhaigh sí le Náisiúnachas Éireannach. Bhí sí an-ghníomhach i ngníomhachtaí Rialtas Dúchais. Rugadh í in Tongham in aice le Farnham i Surrey sa Bhreatain agus tugadh an t-ainm Edith Maud Gonne uirthi, an cailín ba sine de chlann an Chaptaen Thomas Gonne (1835 – 1886) a bhí sa 17ú Lancers. Ba as Caithness in Albain don Captaein agus a bhean céile Edith Frith Gonne, née Cook (1844-1871). Fuair a máthair bás nuair a bhí Maud ina páiste óg. Cuireadh í chun na Fraince chun oideachas a fháil. Sa bhliain 1882 cuireadh a hathair a bhí mar oifigeach in arm Shasana go Baile Átha Cliath. Bhog sí in éindí leis go Baile Átha Cliath agus d’fhan sí leis go dtí a bháis. D’fhill sí ar an Fhrainc tar éis tréimhse eitinne agus thit sí i ngrá le hiriseoir agus polaiteoir den eite dheis, Lucien Millevoye. D’aontaigh sí go dtroidfidís ar son shaoirse na hÉireann agus chun sealbh a fháil ar Alsace – Lorraine ar son na Fraince. D’fhill sí ar Éirinn agus d’oibrigh sí go dúthrachta le príosúnaigh pholaitiúla Éireannacha a shaoradh ó phríosún. In 1890 d’fhill sí ar an Fhrainc áit ar casadh Millevoye uirthi arís. Bhunaigh sí féin agus Yeats an Association Irlandaise i bPáras. Ar feadh tréimhse gearr chuaigh sí isteach in eagraíocht draíochta the Hermetic Order of the Golden Dawn, in raibh Yeats mar bhall. Bhí beirt pháiste aici féin agus Millevoye idir 1893 agus 1895. Níor mhair ach an dara páiste Iseult Gonne, agus níos déanaí phós sí an t-údar Éireannach-Astrálach, Francis Stuart. I rith na 1890-adaí, Thaistil Gonne go forleathan i Sasana, an Bhreatain Bheag, Albain agus na Stáit Aontaithe ag stocaireacht ar son chúis na náisiúnaithe. In 1897 d’eagraigh sí in éindí le Yeats agus Art Ó Gríofa agóidí i gcoinne iubhaile diamaint na Banríona Victoria. Bhunaigh sí Inghinidhe na hÉireann um Cháisc 1900 cumann réabhlóideach na mban, chun áit a thabhairt do mhná na hÉireann, mar í féin nár cuireadh fáilte rompu i gcumainn náisiúnacha ina raibh an lámh in uachtar ag na fir. Ghlac sí Naomh Bríd mar phátrún ar an eagraíocht. Bhí clár oibre polaitíocht, sóisialach agus feimineach; bhí sé i gcoinne Páirtí Parlaimint na hÉireann agus Rialtas Dúchais i bhfabhar neamhspleáchas iomlán ach bhí siad ar son na gluaiseachta Éire-Éireannaí agus seanmóireacht ar choincheapa féinmhuiníneacha Shinn Féin, béilte saor in aisce sna scoileanna agus cearta vótála na mban. D’eagraíodar clár oibre de sainghníomhaíochtaí cultúrtha Éireannacha agus chur siad féinfheasacht náisiúnach chun cinn. Ó 1908 ar aghaidh d’fhoilsigh an ghluaiseacht iris darbh ainm Bean na hÉireann. D’ionsúigh Inghinidhe na hÉireann isteach i gCumann na mBan, cúntóirí ban in Óglaigh na hÉireann, i 1914. Thoiligh roinnt ball ceardchumainn dul isteach in Arm Cathartha na hÉireann. I rith na tréimhse sin chuidigh Inghinidhe na hÉireann le polaitiú glúin ban Éireannach agus ghlac go leor acu páirt in Éirí Amach 1916. Ghlac sí an príomhpháirt i ndráma Yeats Cathleen Ní Houlihan i mí Aibreán 1902. Léirigh sí Cathleen mar “sheanbhean Éireannach” a caoineann dá ceithre cúige a ghabh an coilíneach Sasanach. Sa bhliain chéanna chuaigh sí isteach san Eaglais Chaitliceach Rómhánach. Dhiúltaigh sí go leor tairiscintí Yeats chun pósadh mar shíl sí nach raibh sé sách náisiúnach agus de bhrí nach raibh sé sásta iompú ina Chaitliceach Rómhánach. Phós sí Major John MacBride i bPáras i 1903. An bhliain dár gcionn rugadh mac leo dárbh ainm Seán. Theip ar an bpósadh, áfach agus d’fhill a fear céile ar Éirinn tar éis colscaradh. Ba fear míleata é a thug ceannasaíocht ar an mBriogáid Éireannach ar Transvaal (Irish Transvaal Brigade) in aghaidh na mBriotanach i nDara Cogadh na mBórach. Cuireadh chun bás é i 1916 in éineacht le Séamas Ó Conghaile agus ceannairí eile Éirí Amach 1916. 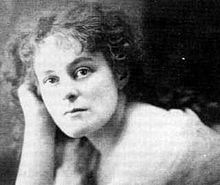 Níor ghlac Maud Gonne páirt in Éirí Amach 1916. D’fhan sí i bPáras go dtí 1917. Lean sí den scríobh d’irisí Bean na hÉireann agus L’Irlande Libre ag iarraidh cur ina luí ar na léitheoirí gur chóir an lámh láidir a úsáid chun neamhspleáchas a bhaint amach. Gabhadh í i mBaile Átha Cliath i 1918 agus bhí sí imtheorannaithe i bPríosún Holloway i Sasana ar feadh sé mhí. I rith Chogadh na Saoirse d’oibrigh sí le Cros Bhán na hÉireann chun cuidiú le híospartaigh foréigin. I 1921 sheas sí in éadan an Chonartha ar thaobh na bPoblachtánach. Is beag file a rinne ceiliúradh ar áilleacht ban an méid a rinne Yeats sna dánta liriciúla faoi Gonne. Óna dhara leabhar go dtí Last Poems, léiríodh í mar Rose, Héilin na Traí (in No Second Troy), Corp Leda (Leda and the Swan), Cathleen Ni Houlihan, Pallas Athene agus Deirdre. Uaigh Maud Gonne MacBride i Reilig Ghlas Naíon. D’fhoilsigh Maud Gonne MacBride a dírbheathaisnéis i 1938, dár dteideal "A Servant of the Queen", tagairt a bhí anseo d’fhís a bhí aici sheanbhanríon Éireannach, Caitlín Ní hUallacháin. Bhí a mac gníomhach i gcúrsaí polaitíochta in Éirinn agus sna Náisiún Aontaithe. Bronnadh Duais Nobel na Síochána air i 1974. Fuair Maud bás ar an 27 Aibreán 1953 i gCluain Sceach in aois 86 agus cuireadh í i Reilig Ghlas Naíon i mBaile Átha Cliath. Tugadh an leathanach seo cothrom le dáta an 7 Eanáir 2019 ag 23:41.